Well, this wasn't my worst race ever, but it was my second worst race ever. Splits don't lie. After parking two miles from the start (for two reasons: 1. So I could run a warm up and 2. so I'd have to run a cool down), I ran the "hard part" of the course to remind myself of the hills, then settled around the start line so I wouldn't get stuck behind walkers. Which turned out to be pointless, because I basically should have been walking. 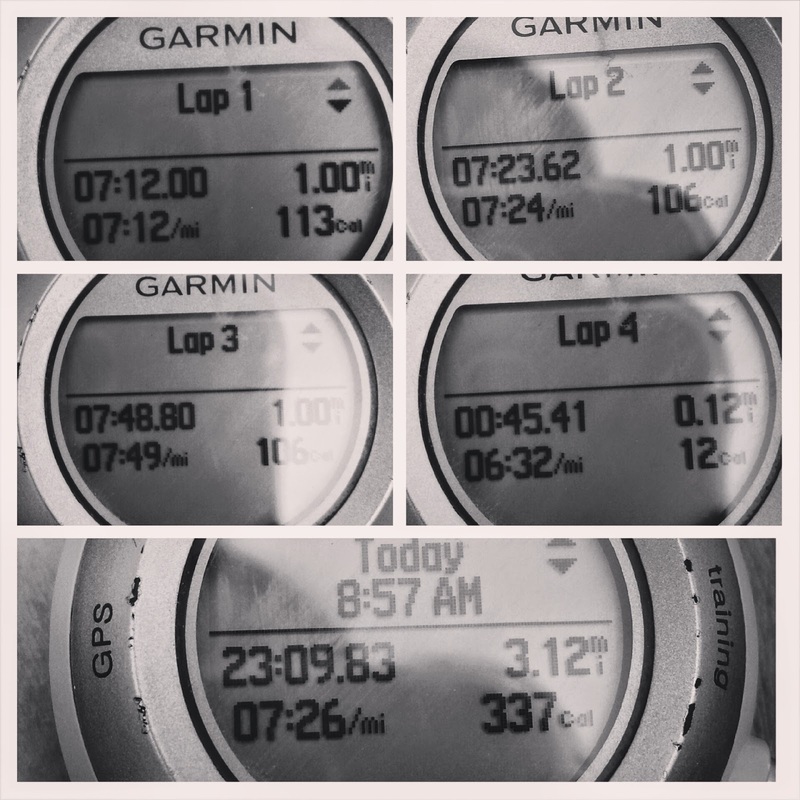 I felt decent for the first mile, like I was starting to hurt on the second, and basically like I was crawling for the third. In defense of starting too fast, I would like to say that there was a headwind on the third mile, and then an 8 year old passed me, which didn't do much for my mental game. The temptation to look at my watch became overwhelming around 2.5 miles, but before I looked, I asked myself if I could be running faster. The answer was no. So I looked at my predicted mile pace, which used to be my "easy run" pace. So this race was all kinds of awful, and I haven't run since. I'm seriously having doubts about how much time I want to put toward this thing I used to love so much. But that's for another time. In happier news, I'm off to visit my sister at her tech school in Mississippi for the holiday weekend. It's 80+ degrees everyday, with 100% humidity, so running will most likely not be on the docket.